For cancer patients, affordable, freely available drugs are often the only hope for survival. This is particularly true and urgent for Chinese patients. According to the National Cancer Center of China’s 2018 annual report, more than 3.8 million cases of cancer were diagnosed in 2014. From May 1, China slashed tariffs on imports of all anticancer drugs to zero. The value-added tax was reduced to three percent from 17 percent for both imported and domestically produced anticancer drugs. Furthermore, some successful foreign medicines used to treat rare and fatal diseases can be imported and prescribed directly without undergoing Chinese clinical trials. There is a plan to include more drugs in the national healthcare insurance scheme. Indeed, China has adopted a series of policies to streamline drug import procedures in the past two years, particularly since October 2017. Patients and the market in China have long expected all these new policies. However, there is still some way to go before life-saving drugs can reach every Chinese patient. As is standard around the world, Chinese pharmaceutical producers can only make generic drugs after the patents on equivalent brand-name drugs expire, meaning patients have to wait for a few years for access to dramatically cheaper generic drugs. In addition, the quality of Chinese generic drugs needs improvement. Bi Jingquan, vice minister of the newly-launched State Administration for Market Regulation, noted at a meeting in Beijing in October 2017 when he was head of China’s drug regulator that generic drugs made in China are not good enough to replace their equivalent brand-name drugs for some severe diseases. Meanwhile, China lags behind the US, UK, Germany and Japan in developing new drugs. According to a survey in November 2016 by the R&D Pharmaceutical Association Committee of the China Association of Enterprises with Foreign Investment (RDPAC), which represents 40 multinationals in the pharmaceutical industry, most new drugs on the market or in development by Chinese pharmaceutical companies are based on targeted tumors and mechanisms that have already been identified in existing therapies and research. By contrast, nearly half of the 66 new molecule entities – a category of new drugs defined by the US Food and Drug Administration (FDA) – approved in the US between 2012 and 2014 were breakthrough discoveries, including new targets and new therapies. Yan Xiaowei, vice director of Cardiology at Peking Union Medical College Hospital, said there was a much smaller chance of China catching up to the frontrunners in drug development than in internet technology. Over the past few years, more Chinese pharmaceutical companies have invested a great deal in developing new drugs. Given the size of China’s population, domestically produced drugs will be necessary in the long term to ensure the well-being of the people and the growth of the industry in China. However, the reality is that immediate, affordable access to new drugs is the only way many patients will survive. Professor Wu Yilong, chairman of the Chinese Society of Clinical Oncology, told a meeting of the RDPAC in Guangzhou in early 2017 that new drugs had increased the survival of late-stage lung cancer patients to four or five years, up from less than one year a decade ago. He added that while it might have taken eight to 10 years to get a targeted therapy onto the market back then, the process has been reduced to two or three years today. Wu believes the process will be even faster in the future. US death rates for the most common cancers have decreased continuously for years due to improved therapies, early detection and reduced cigarette use, according to the US 2018 National Cancer Statistics report. As a result, the best solution for Chinese patients right now is to import more new drugs and have them included in the national healthcare insurance scheme whenever necessary and possible. But this is difficult to achieve. A 2016 report by the IMS Institute for Healthcare Informatics, a US provider of information and technology for the healthcare industry, shows that only six out of 49 new anticancer drugs were available in China between 2010 and 2014, compared with 41 in the US, 37 in the UK and 28 in Canada. Bi Jingquan said in 2017 that the 29 main imported new drugs that appeared on the Chinese market in the past decade arrived five to seven years later than in the US and Europe. A report by the overseas edition of the Party’s flagship paper the People’s Daily on April 20, 2018, estimated China’s anticancer drug market at tens of billions of US dollars, with expensive imported drugs making up half. Many are not covered by the national healthcare insurance scheme. It is an onerous burden, even for a relatively well-off Chinese family. The drug import process is long and complex. Any drug approved by foreign regulators has to go through clinical tests again in China before it is allowed to be imported. International pharmaceutical giants can also apply to include China in their multiregional clinical tests during the development of a new drug. However, they must have already completed their first phase of clinical trials (small trials of only a few patients to determine the safety and dose of a drug). Marketing licenses granted by host countries or regions are needed to apply for clinical tests and marketing of imports of chemicals and biopharmaceuticals into China. In India, where patents on new drugs from multinational pharmaceutical companies are not strictly policed, many patients resort to generic drugs. But such drugs, if not approved in China, are defined as “fake” in China, and it’s illegal to sell them. 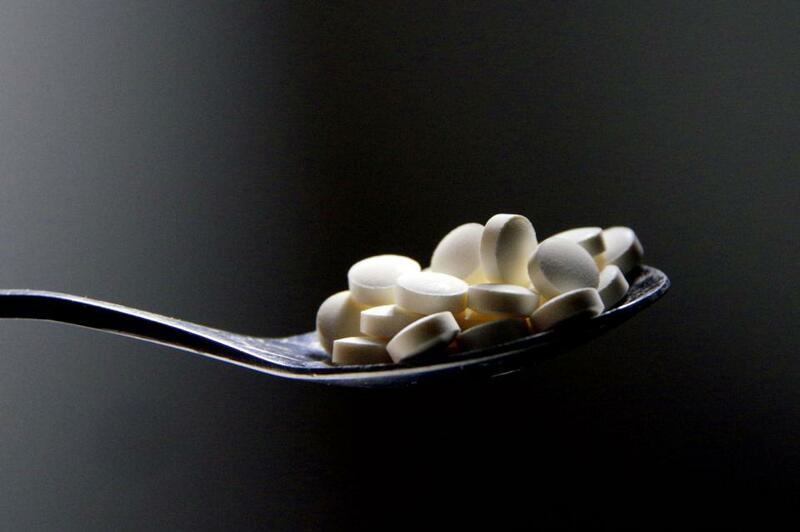 In 2014, a leukemia patient in Hunan Province was accused by local prosecutors of selling fake drugs despite helping thousands of patients with the same disease access cheap generics from India. The charge was withdrawn in 2015 after hundreds of his clients petitioned for his amnesty. The case put the spotlight on the problem of access to affordable anticancer drugs in China. New measures adopted and announced in the past year bring hope. As of October 2017, a phase one clinical trial is no longer required for foreign drugs in China. It can be done in China and foreign markets at the same time. Overseas marketing licenses for drug imports in China are not necessary either. Besides zero tariffs for all anticancer drug imports as of May 1, 2018, clinical tests in China can be skipped if there is no radical difference in terms of safety and effectiveness of the drug to be imported for some fatal or rare diseases with no effective cure. If regulators express no objection to an application for a clinical test within a certain period, then the test can be conducted under tacit consent. The draft of this measure is currently out for public comment. To encourage innovation, no generic drug will be allowed onto the market in China for six years after its equivalent brand-name drug appears in China. If an application for marketing of a new drug is filed in China and a foreign market at the same time, the new drug will be granted extra patent protection for up to five years. Meanwhile, supervision of the quality of imported drugs will be strengthened. Covering imported new drugs, particularly anticancer drugs, on the national healthcare insurance system has been put on the policy agenda. Between 2015 and 2017, Chinese drug regulators conducted a sweeping check on clinical tests involved in 2,033 applications for registration of drug production and imports. Sixty-five percent were withdrawn by the applicants themselves on their own initiative. In on-site reviews of 313 drug registration applications, research fraud was found in 38 cases. The findings were scandalous and were regarded as preparation for the ICH membership. China joined the ICH in June 2017, a move that is expected to accelerate the import and development of drugs by adopting international practices. Progress has been made on the pace of drug reviews. According to a 2016 report by four Chinese healthcare industry organizations, including the RDPAC, since October 2015, approval for clinical tests took two months less, and for marketing of imported drugs, 11 months less than in 2014. These new steps mean more chance of survival for Chinese patients who rely on new drugs. However, the workforce shortage is even harder to address and will take a much longer time. Former food and drug regulator head Bi Jingquan said the number of staff dedicated to evaluating drugs at the CFDA increased to 600 in 2017 from only about 100 in 2012. According to the US FDA, its Center for Drug Evaluation and Research had more than 3,600 employees in 2013. In addition, there is a serious lack of institutions and doctors capable of performing clinical tests, Wang Lifeng, a CFDA official, told the October 2017 press conference. Chinese doctors, particularly those in big hospitals, are already heavily burdened with clinical services. A 2017 joint survey by McKinsey, an international consultancy, and DXY, a digital service provider for China’s healthcare industry, found Chinese doctors typically spend five days performing clinical services and one day on research each week, leaving only one day for rest. Many doctors are not satisfied with their long working hours and meager salaries. Personally-targeted therapy is an increasingly popular cure for serious diseases. To obtain such treatments in China will require significant efforts not just by drug developers, but by policymakers.